If you have been thinking about training with us, now is the time to start . 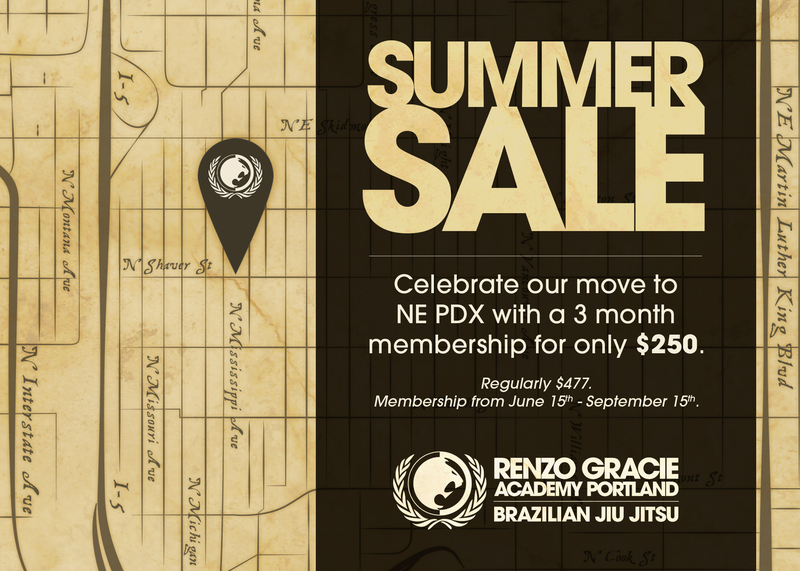 To celebrate our move to NE Portland we are offering a summer enrollment sale. Train between June 15 – Sept 15 for just $250. Gi, No-Gi, wrestling, Judo, and our infamous leg lock classes are all included. email to info@renzogracieportland.com for more information. I am pleased to announce that we have signed a lease on our new, permanent location. 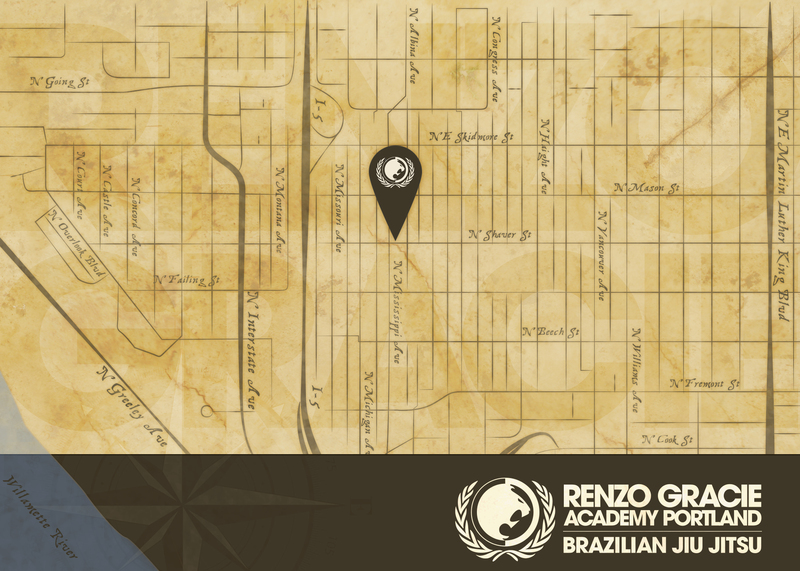 In late July, Renzo Gracie Portland will be located at the corner of N Mississippi Ave on N Shaver. Stay tuned for updates and pre-registration discounts for the new spot! https://www.renzogracieportland.com/wp-content/uploads/2018/06/logo-h-renzo-gracie-1.png 0 0 Aaron Milam https://www.renzogracieportland.com/wp-content/uploads/2018/06/logo-h-renzo-gracie-1.png Aaron Milam2014-06-01 09:40:402014-06-01 09:40:40New Location. New Programs.